Oakham, Rutland Earthquake 28/01/15 Recorded at Keele, UK. A moderate (for the UK) M3.8 earthquake occurred last night near Oakham in Rutland, England. The recording above made at the University of Keele on our 6TD seismometer shows the three-components of ground motion (up-down; north-south; east-west) and nicely shows the arrival of P-waves and S-waves. 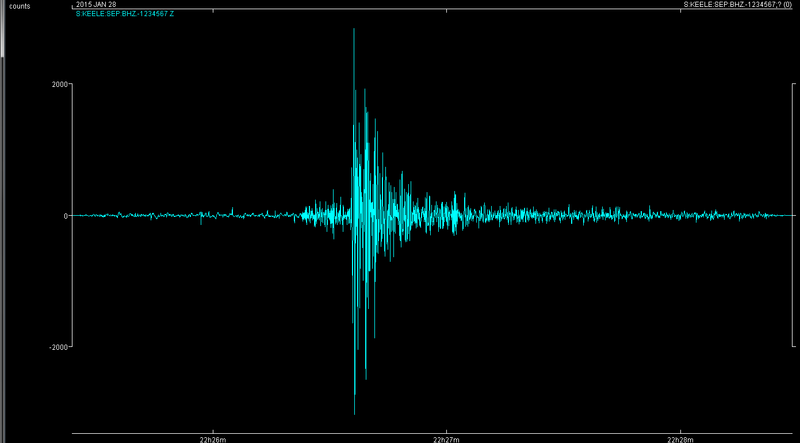 Our record from our SEP-1 school’s seismometer is not too shabby either.